How have the students of BHS dealt with the recent threats of gun violence? Lately, there have been many gun violence threats to Burnsville High School and across the country. The most recent case was today, Wednesday, November 28, when a screenshot of an Instagram direct message made its way through social media. The picture was of a direct message between two accounts that were linked to Burnsville High School students. The messages were threatening gun violence to the school and the students. Administration was contacted and were working to figure out the legitness of the threat. Once the accounts were linked to Burnsville students, administration took important measures and the students were detained, no longer posing as a threat. Although there was no longer an immediate danger, many students felt unsafe coming to school. According to Dago Abebaw, today was a day better spent somewhere that was a guaranteed safe place. “The threat affected me in such a negative and frightening way, by making me anxious and the thought of anything remotely close to something terrible happening is scary because there has been a lot of problems with school shootings and gun control, especially in the United States.” Dago has a valid point and emotions, that many students in Burnsville share as well. 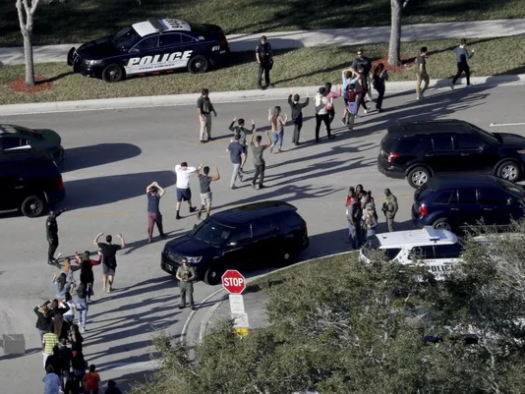 The safety of the students should be the number one priority at all times, and sometimes to the students it feels as if our safety does not matter as much as an object does in this country. The only thing we can do is be advocates for change and know that one day change will come.